Interestingly, the responses ranged from defining and measuring quality of hire to proving the ROI of recruiting tools. Insight 1: There’s global consensus that improved candidate and job matching will reshape recruiting. Improved candidate and job matching means finding the right candidates faster with better technologies and algorithms. In 2020, perhaps recruiting will look more like online and mobile dating where matches are determined both by keywords and other fit factors. 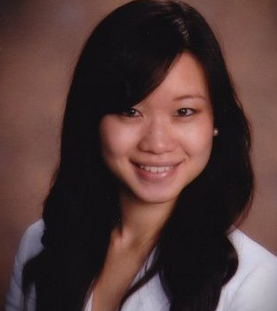 How you can prepare: Accelerate your job views and enable better candidate matching. Have a 30 to 60 minute intake meeting with your hiring manager to clarify what the candidate will do in their job. Use industry-standard keywords in the job posting that aren’t company jargon. Choose the promotional channels and tactics that align with where your target talent is spending their time. When you’re reaching out to matched candidates, illustrate the career opportunity and what’s in it for them, not just the job requirements. Do this by sharing about the culture, team, and company trajectory. Insight 2: In China, big data is a big deal. When we asked Chinese recruiting leaders to name the top up and coming trends in recruiting, using big data was number one. In China, where there are billions of professionals, it may be essential to be quantitative and data-driven versus rely on gut instinct and antiquated processes. How you can prepare: Arm yourself with data. Size your target talent pool overall, and by the criteria you’re most interested in (company, city, industry, etc). Set hiring manager expectations about the size of the market and tweak the job description as needed. Use LinkedIn’s free talent pool reports on SlideShare to understand both talent supply and demand, and tailor your InMail messages based on our data about what your target talent wants in a job. You can use LinkedIn Recruiter to measure the size of your target talent pool with your search criteria. Insight 3: European recruiting leaders believe recruiting will become like marketing. While this is a popular belief in Europe, almost half of all global recruiting leaders believe this trend will continue to shape recruiting in the next 5 to 10 years. Given how rapidly the concept of talent brand has taken hold, recruiters may evolve to become like marketers sooner than we think. How you can prepare: Make your talent brand known through cost-effective channels. Start with free LinkedIn tools like individual recruiter profiles, your company page, and attracting company followers. Post compelling content on your blog and encourage employees and recruiters to share it organically. Create a more robust content strategy with tips from our e-book, 5 Steps to Boosting Your Talent Brand Through Content. Benchmark your talent brand budget against other HR investments — is talent brand funded in line with your priorities? Learn more about making the case for talent brand budget and return on investment in our Employer Brand Playbook. 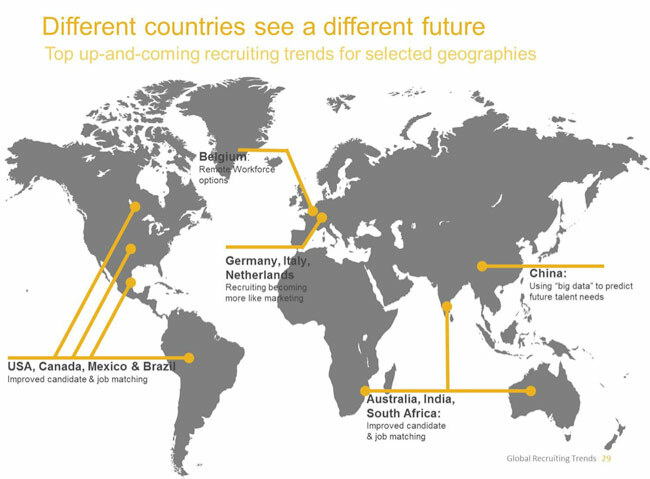 To learn how to stay ahead of other trends in recruiting, check out our full 2015 Global Recruiting Trends report.